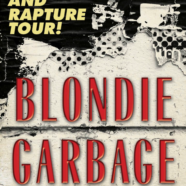 Blondie & Garbage have announced a co-headline North American tour that will kick off on July 5th in Saratoga, CA and wrap on August 12th in Dallas, TX.John Doe & Exene Cervenka will provide support on the first leg of the tour and Deap Vally for the second leg. Tickets for the Rage and Rapture tour go on sale starting Friday, February 17 at 10:00am local time (please check venue websites for most up-to-date on sale information). Fans can also access a ticket pre-sale now HERE using the password RAGEANDRAPTURE (pre-sale not available in all markets). A complete list of live dates can be found below. More dates to be added soon. Garbage is Shirley Manson, Duke Erikson, Steve Marker and Butch Vig. After forming in Madison, WI, Garbage released their self-titled debut album in 1995. The band’s unique sound and provocative visual aesthetic, inspired massive worldwide attention and success. Their follow up album, Version 2.0, released in 1998, topped charts all over the world and garnered multiple Grammy Award nominations including Album Of The Year. Garbage went on to release two more albums: 2001’s Beautiful Garbage and 2005’s Bleed Like Me, the latter of which earned the band its highest chart position with a No. 4 on the Billboard Top 200 Album Chart. After a 7-year hiatus, the band released their fifth studio album Not Your Kind of People in 2012 on their independent record label, STUNVOLUME. The album was named one of Rolling Stone magazine’s Top 50 Albums of 2012 and was hailed as the “alternative to everything,” by Pitchfork. Garbage has sold over 15 million albums worldwide and performed in over thirty-five countries. In 2015, the band celebrated its 20th anniversary with their SOLD OUT ’20 Years Queer’ world tour and the release of a special 20th anniversary edition of their debut album, re-mastered and featuring previously unreleased material. Last year, Garbage released Strange Little Birds, which debuted at No. 1 on Billboard’s Top Rock Albums and Alternative Albums chart, and arrived at No. 14 overall on the Billboard 200 chart. This summer, Garbage will be releasing an autobiographical coffee table book, This Is The Noise That Keeps Me Awake, currently available for preorder HERE. For the last four decades, Blondie has become and still remains a true national treasure; one whose influence both shaped and continues to inform the worlds of music, fashion and art. From an irreverent Lower East Side punk outfit to bona fide international ambassadors of New York cool, Blondie will forever be synonymous with that punk spirit that lives somewhere in all of us. 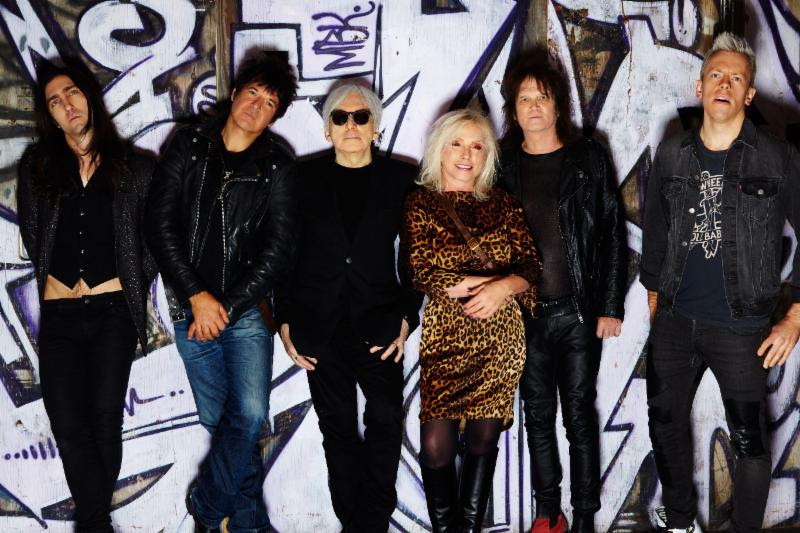 Comprised of singer-songwriter Debbie Harry, guitarist and co-writer Chris Stein, powerhouse drummer Clem Burke, and long-time band members bassist Leigh Foxx, guitarist Tommy Kessler and keyboardist Matt Katz-Bohen, Blondie’s chart-topping success, fearless spirit and rare longevity led to an induction into the Rock ‘N’ Roll Hall of Fame in 2006, a NME Godlike Genius Awardin 2014, a Q Award for Outstanding Contribution to Music in 2016, and more than 40 million albums sold worldwide to date. Debbie’s persona and the band’s boundary-pushing pop have shaped the look and sound of many chart-topping female artists who followed in the last three decades. And their newest album, Pollinator(out May 5th via BMG), delves even deeper into this idea: inspiration from Blondie’s action-packed, cross-pollinating past shaping the sound of our collective future. PRESS HERE to listen to “Fun”, the first song off this release, and PRESS HERE to pre-order Pollinator, which features songwriting from Sia, Blood Orange frontman Dev Hynes, British singer Charli XCX, Dave Sitek (TV On The Radio), Nick Valensi (The Strokes), Johnny Marr (The Smiths) and more.